Are you looking for your first drone? Want to try your hand at piloting and learn to control a drone but don’t want to pay a lot or crash something expensive? Here are the 10 best drones under $100. They’re a good choice for beginners and kids. The Tello drone is a toy drone that’s best for children. Made by a collaboration between Ryze, DJI, and Intel, this drone is small, light, easy to control, and lots of fun. The Tello is equipped with a 5MP/720p camera for photos and videos. It also has vision positioning sensors (VPS), which allow it to stay in the air statically. With VPS, Tello can be stable during both indoor and outdoor flights, what is useful for taking pictures. Tello can fly for 13 minutes at a distance of 100 meters. One more good feature it has is EZ-Shots: drone makes photos automatically without any user actions. There are a few flight modes, and one you definitely need to try is 8D Flips. The drone will flip in eight different directions after one simple swipe on the screen. The Altair Aerial AA108 is quite hard to break thanks its low battery and out of range alarms. If something goes wrong, the drone will warn you. Three different flight modes give you more ways to have fun. The UDI A818 offers a nice combination of HD camera, simple controls, and affordable price. This drone will give you good quality photos and videos. With headless mode, you can learn piloting a little bit easier and faster. Another important option is returning home: if you’ve lost the drone or it’s out of sight, it will fly back to you by itself. A battery alarm protects the drone from falling out of the sky. The MJX X400W is inexpensive, easy to fly, and perfect for a start. It has everything you need for learning drones and having fun. A 720p camera for pictures. A return home option for safety. A connection to your phone so you can see everything from above. The flight time of the X400W is 8 to 9 minutes and the maximum flight distance is 100 meters. It’s better to buy an extra battery for this or any other drone that has less than 10 minutes of flight time. The X400W comes with four extra blades. The cherry on top is the blue and orange lights on the drone’s front and back. It looks amazing in the dark. The HS170 Predator from Holy Stone is one of the best-selling drones under $100 on Amazon. With this quadcopter, you’ll definitely have a lot of fun. Blast off slowly and gain height confidently with three speed modes. It’s a pleasure to fly the HS170 Predator in the evening and at night because of the bright LED lights. But with only 6 to 8 minutes in the air, it’s best to buy an extra battery. The Predator is wind-resistant and has propeller guards, making it harder to crash and safer for kids. The flight distance is good but nothing special at 35 to 50 meters. Want to do some tricks in the air? Get the Syma X5SW-V3. This drone is easy to control and has a six-axis gyro allowing for stable flights. It’s also suitable for learning, with a headless mode that gives you a chance to master flying step by step. 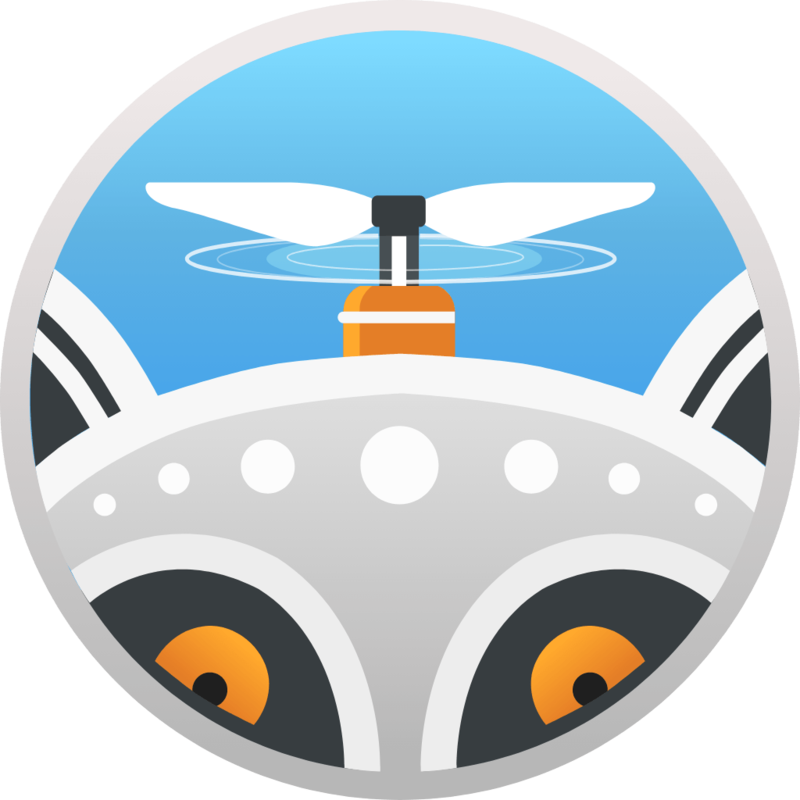 See what the birds see with the Wi-Fi FPV: an aerial view streaming to your iOS or Android device. The HD camera gives you high-resolution photos from above. The E010 Mini UFO looks like a toy. It’s tiny and has a funny design: a black body and bright green propellers. The drone is very compact at only 2×4×4 inches. The E010 fits into your backpack easily. You can take it with you on a picnic or on a journey. The quadcopter has no camera. You’ll be surprised by the ease of flying and the 3D rolling special effects. Also, this guy will return home when you push one button. There are space invaders in the sky! That’s what people will think when they see the UFO 3000 LED drone. It has bright green and blue LED lights on the body and looks absolutely beautiful during flight. Thanks to these LED lights, you can create freezelight art by shooting the drone in the sky. This is a perfect starter drone with simple controls: one-button takeoff and low and high speeds. Safety is important, especially for kids, which is why the UFO 3000 has propeller guards. Imagine a car that can fly. That’s what the Rabing Flying Car Quadcopter is. It can ride on the ground and then just take off into the sky. With bright LED lights, this drone looks fantastic. It’s cheap but equipped with the latest six-axis flight control system, making it easy to fly indoors and outdoors. A low-voltage alarm function provides safety, as the drone will warn you when the battery is close to dying. Three speeds and headless mode will give you a pleasurable flight. With the KingPow VR drone, you’ll feel like a bird. The KingPow streams live footage from the air. It looks incredible in the sky because of the LED lights on the body and takes high-quality pictures and videos with its 1080p camera. With the KingPow VR, you can explore piloting easily with headless mode, one key automatic return, gravity sensing, and speed mode.